I spent most of my childhood in Huntsville, Alabama, just a few miles away from the Space and Rocket Center. We went as a family once, but I never went to Space Camp there, where kids pretended to be astronauts in training for a week. The cost at the time, if I’m remembering correctly, was upwards of $400 to $500, way more than my family could afford. Asking my parents to send me to Space Camp would be like asking them to launch me to the moon. It just wasn’t going to happen. And yet I dreamed that it would. I used to lie in bed and picture myself wearing the blue NASA jumpsuit every kid was issued. I could see myself sitting in the shuttle simulator, staring out the window at the breathtaking view of Earth far below. But alas it was not meant to be. I was like the kid who lived smack dab in Orlando but who never got a ticket to Disneyworld. All of this isn’t to evoke pity on my childhood; I had a wonderful childhood. I only mention it to emphasize that when I was a kid, I wanted nothing more than to grow up and become an astronaut. I had posters on my wall. I checked out books from the library. I got magazines on space. It was my future. I even had my career path outlined. Knowing that a lot of shuttle pilots were former pilots for the military, I intended to join the Navy and fly F-14 Tomcats. Before the Challenger disaster my family moved north of Huntsville to a tiny community called Elkmont, in the middle of cotton country. My school was K-12. There was one hall for elementary school students and another hall for high school students. People drove four wheelers to school. It was boonies. Every week I was bussed to a special school for “gifted” children, which really meant “children who could take standardized tests really well.” In any event, I loved this special school. My teacher was fun and brilliant and energized about learning. We made solar-powered hot-dog cookers and learned about writing and the universe and elementary psychics. One of the kids in my class, who was bussed in from another school, and who had gone to Space Camp, occasionally wore his blue NASA jumpsuit, and I’d stare at it in wonder, hoping that he’d grow out of it and give it to me. 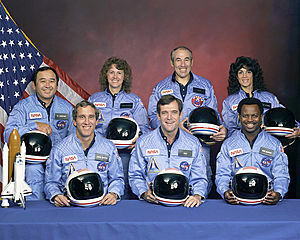 On January 28, 1986 my class of geeks and space nerds was scheduled to watch the Challenger liftoff. I had been following the Challenger preparation in the news for weeks, and was nearly jumping out of my skin with excitement. A teacher was going up. A teacher! Someone who didn’t have to be a scientist or a Navy pilot, but a teacher, just like the one I had, bright-eyed and incredibly brave. We gathered around the TV set in the classroom. My teacher turned on the TV, but nothing happened. She jiggled the wires and turned the knobs, and eventually we learned that the cable connection wasn’t working. We weren’t going to watch the launch after all. I was crushed. Later my parents told me what had happened. It was like a hammer blow. Everything I had dreamed about was gone in a literal cloud of smoke. I had never dealt with death before, and suddenly the idea took on new meaning. I had watched the crew train on the news. I had seen their press conferences and their smiling faces. They had waved at the crowd. They had been so alive and happy and ecstatic about the mission ahead. I had imagined them in space, floating weightless, conducting their experiments, doing somersaults, laughing, moving about in the cramped space. And now they were gone. Fellow Astronaut Richard Mullane wrote, “These switches were protected with lever locks that required them to be pulled outward against a spring force before they could be moved to a new position.” Later tests established that neither force of the explosion nor the impact with the ocean could have moved them, indicating that Smith made the switch changes, presumably in a futile attempt to restore electrical power to the cockpit after the crew cabin detached from the rest of the orbiter. Whether the astronauts remained conscious long after the breakup is unknown, and largely depends on whether the detached crew cabin maintained pressure integrity. If it did not, the time of useful consciousness at that altitude is just a few seconds; the PEAPs supplied only unpressurized air, and hence would not have helped the crew to retain consciousness. If, on the other hand, the cabin was not depressurized or only slowly depressurizing, the astronauts may have been conscious and cognizant for the entire fall until impact. Tragic. And awful to imagine. I would like to think that the crew was unconscious seconds after the detonation. That they mercifully went to sleep and simply never awakened. But we’ll never know. Regardless, these people are heroes to me. They were when I was a kid, and they are now. They knew the risk, they knew the danger. And yet they zipped up and got on board. The image taken at the moment of explosion is forever burned into my memory. It represents a defining moment in my childhood, a single event that flipped a switch in my brain and made me realize how fragile life really can be. People die. Accidents happen. Systems fail. Plans go tragically wrong. Dreams aren’t always realized. Good people suffer. And yet, despite that, despite the hard, ugly reality of those facts, shuttle flights continued. Eventually crews stepped into suits and strapped themselves in tight. We continued to look skyward. We continued to reach up. We were heartbroken but not broken. Giving up was never in the cards. As for me, I never joined the Navy. Growth spurts continued, and I realized that I was far too tall to squeeze into a Tomcat. Which is probably for the best. I don’t really have the coordination or the stomach for that kind of flying. My love of space never dimmed, however, and I consider myself fortunate that I can still dabble in the universe, even if only in my mind. As for the Challenger crew, I say thank you. Thank you for inspiring us all. May you forever rest in peace, and may we never forget. I appreciate you sharing your thoughts on this anniversary. As a kid, I desperately wanted to be an astronaut. Or a paleontologist. All my friends played with little green, plastic army men. I had little plastic astronauts and little plastic dinosaurs. I had fantastic battles between armies of astronauts on prehistoric planets infested with dinosaurs that covered my parents entire living room, including the green sofa and the orange carpet. In fact, my earliest memory is of watching the first lunar landing. 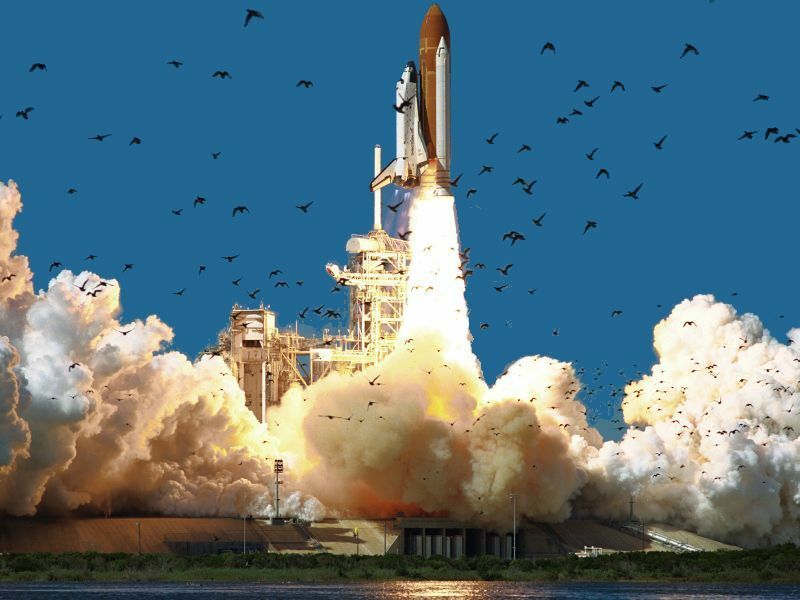 I remember the day well of the Challenger disaster; it was two days before I entered the MTC and i was in the cafeteria at BYU with some friends when someone ran in and yelled to come look at the TV. I found some solace that evening in the words President Reagan shared, part of which I’ve included here. Anyway, thanks for remembering. “…And I want to say something to the schoolchildren of America who were watching the live coverage of the shuttle’s takeoff. I know it is hard to understand, but sometimes painful things like this happen. It’s all part of the process of exploration and discovery. It’s all part of taking a chance and expanding man’s horizons. The future doesn’t belong to the fainthearted; it belongs to the brave. The Challenger crew was pulling us into the future, and we’ll continue to follow them. 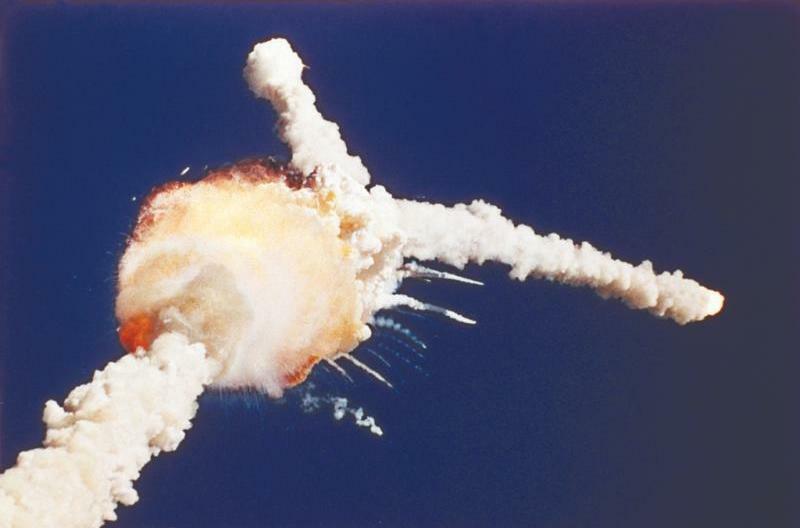 I’ve always had great faith in and respect for our space program, and what happened today does nothing to diminish it. We don’t hide our space program. We don’t keep secrets and cover things up. We do it all up front and in public. That’s the way freedom is, and we wouldn’t change it for a minute. We’ll continue our quest in space. There will be more shuttle flights and more shuttle crews and, yes, more volunteers, more civilians, more teachers in space. Nothing ends here; our hopes and our journeys continue. There’s a coincidence today. On this day 390 years ago, the great explorer Sir Francis Drake died aboard ship off the coast of Panama. 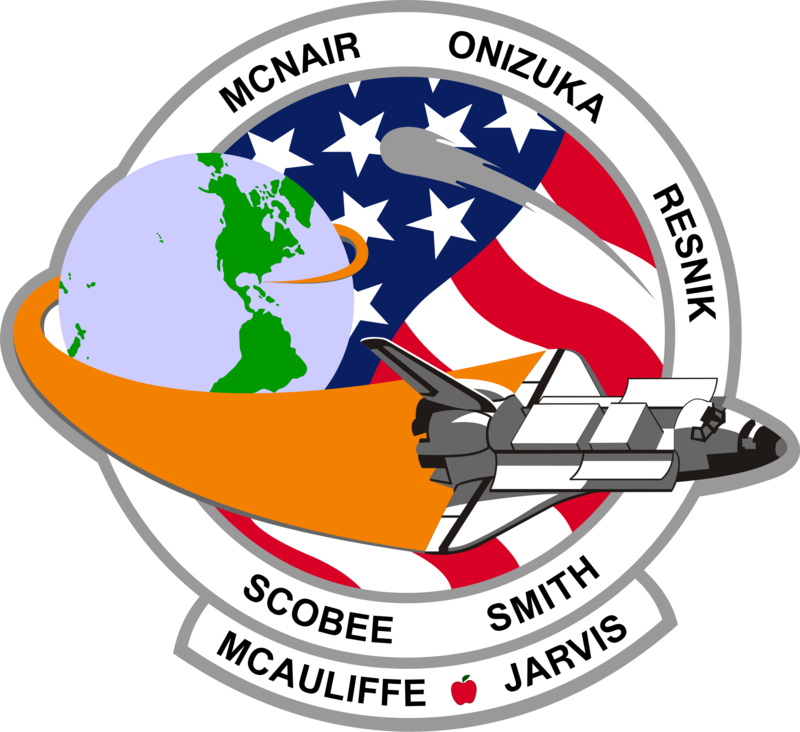 In his lifetime the great frontiers were the oceans, and an historian later said, “He lived by the sea, died on it, and was buried in it.” Well, today we can say of the Challenger crew: Their dedication was, like Drake’s, complete.